Juergen and Ele are travelling between visiting a friend somewhere in the Black Forest and their boat somewhere on the other side of France, and while they didn’t actually need a stop, we all agreed it would be a great opportunity to catch up if they’d care to stay for a night. It’s fair to say that a rollicking good time was had by all, tucked snug as we were, cosseted even in the little quay with its private parkland and services and internet provided for our use courtesy of the local community. While security is rarely a concern for us in our travels, it is fair to say that the community here treats security fairly seriously. It’s rare to find a place so meticulously free of graffiti or even litter. 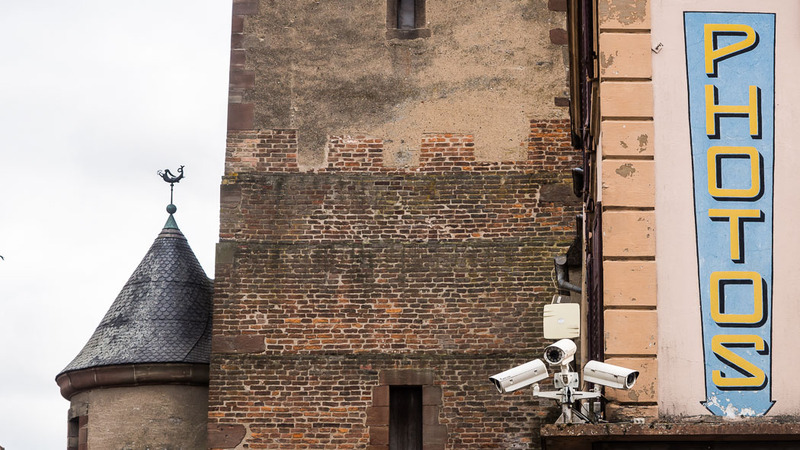 While it's probable that the level of lighting and the security cameras contribute significantly to that outcome, we wonder if the fact that the cameras aren’t exactly covert helps just a little as well.